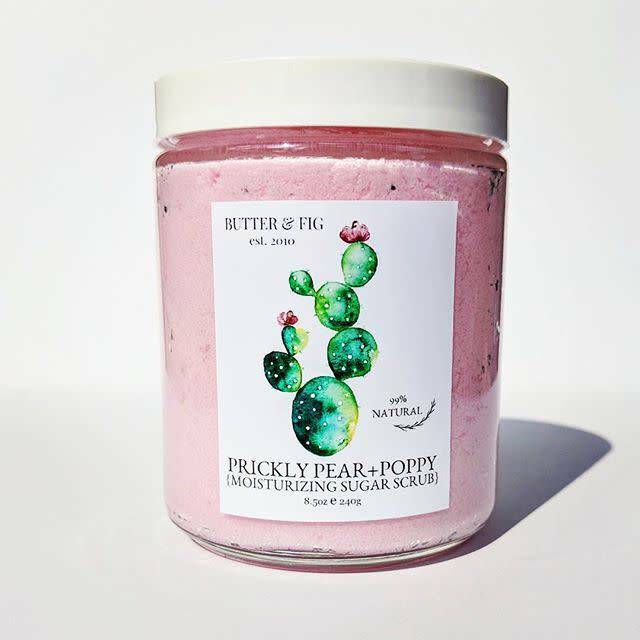 A luxurious moisturizing hand blended sugar scrub, this gentle formula is made with skin softening apricot kernel oil + other natural skin nourishing plant based ingredients. With a dose of creamy Shea butter, this wonderful exfoliating scrub will leave your skin feeling super soft and nourished all day long! 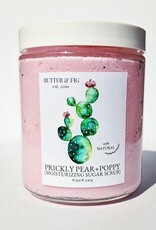 Scented with the beautiful + intoxicating scent of sweet Prickly Pear wrapped around fragrant wild poppies.